"Music does a lot of things for a lot of people. It's transporting, for sure. It can take you right back, years back, to the very moment certain things happened in your life. 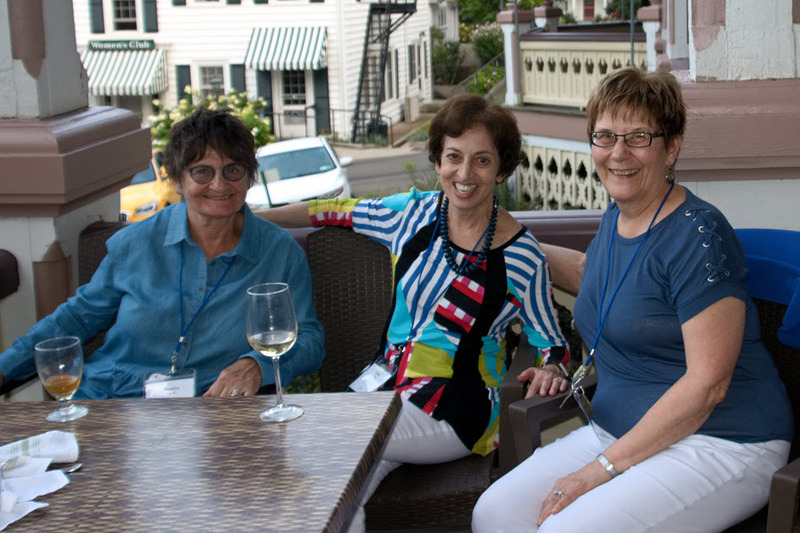 Jeanne Kelly Named "Influencer in Aging"
What a Summer It Was! 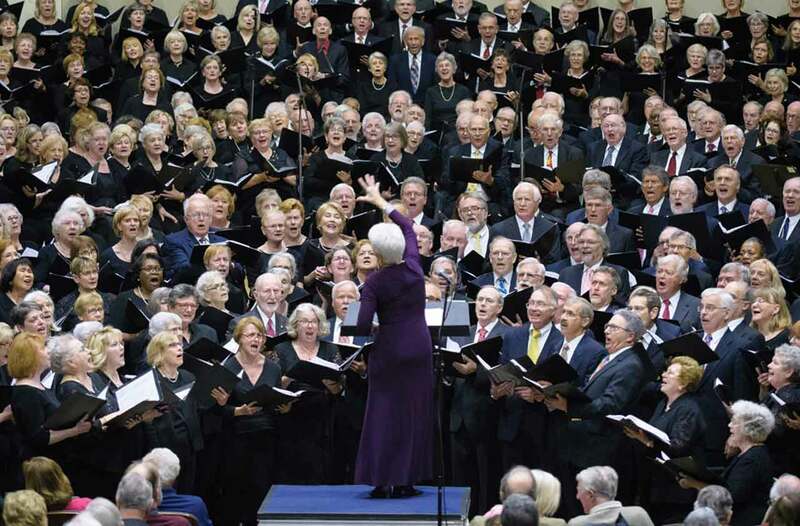 Kiplinger Says "Join a Choral Group in Retirement"
Your gift, regardless of the amount, helps Encore provide life-changing experiences to over 1200 singers each year. Your gift makes it happen! Encore is receiving press coverage all over the region. We even made the New York Times recently with a half page article. Check out the splash that our singers are making! We are so proud of our Encore singers! If you shop through Amazon, there is a simple way to direct some of Amazon's profit from your purchase right back to Encore. Amazon donates 0.5% of the price of eligible AmazonSmile purchases to the charitable organization of your choice. Shop through smile.amazon.com to get started. Type in Encore Creativity for Older Adults as your chosen non-profit and continue to shop. Every penny helps, and it really is that simple! Thanks! Thank you AARP for believing in our Mission! 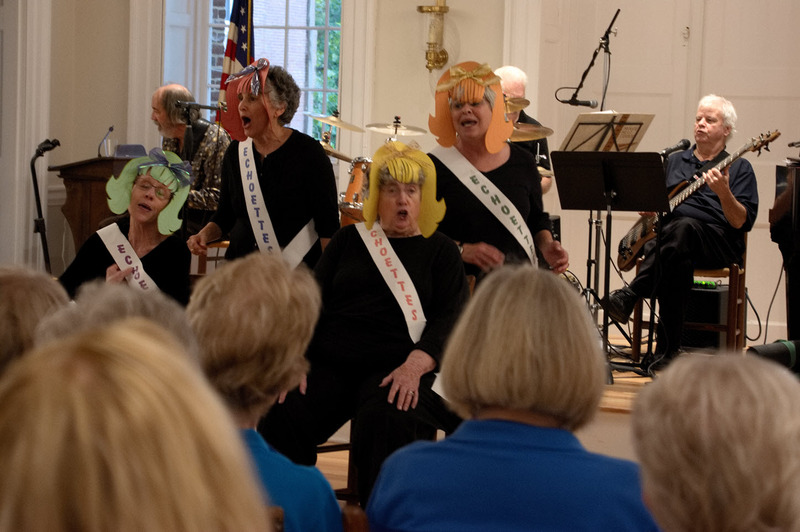 Encore is dedicated to providing an excellent and accessible artistic environment for older adults, 55 and over, regardless of experience or ability, who seek arts education and performance opportunities under a professional artist. Encore is an IRS 501(c)(3) nonprofit tax-exempt organization. Encore's Founder and Artistic Director, Jeanne Kelly, has been named one of twelve "Influencers in Aging" by the online publication Next Avenue. Next Avenue recognized "these 12 advocates, researchers, thought leaders, innovators, writers and experts who continue to push beyond traditional boundaries and change our understanding of what it means to grow older." Read the article and interview with Jeanne HERE. Very shortly after I committed to serving as Encore’s Executive Director, I visited our ROCKS CAMP in Annapolis this August. Perhaps I should preface this story by sharing with you that I have sung choral music my entire life, and when I am not singing myself, I am an avid fan and consumer of vocal music. But what I witnessed when I walked into rehearsal at camp that day was something I will never forget. The energy in the room was palpable. It was alive, electric and full of the very best of the human spirit. 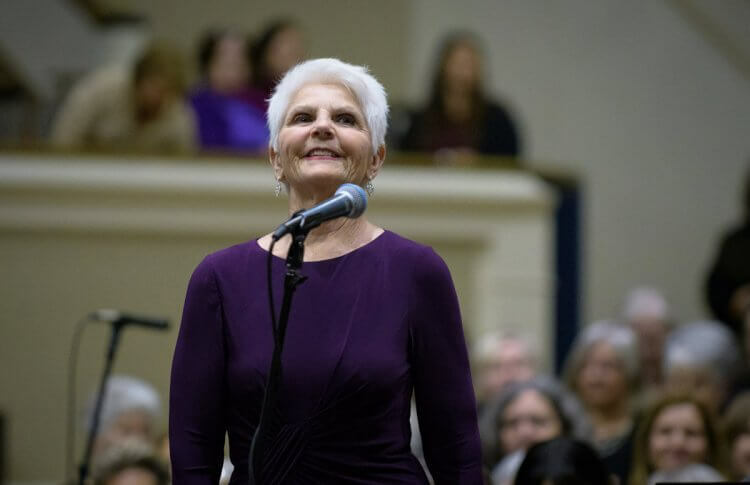 I knew right then and there that I had come across an organization and a group of people that are not only kindred spirits, but further confirmation of something I have long held as a core belief: that there is extraordinary value to lifelong singing. Whether you have sung for many years, or whether Encore is your very first experience in group singing, I trust that you are enjoying the benefits of the joy that it brings, the community that it fosters, and the spirit of life that it inspires. I look forward to meeting all of you as the fall semester continues, but always feel free to reach out at any time. 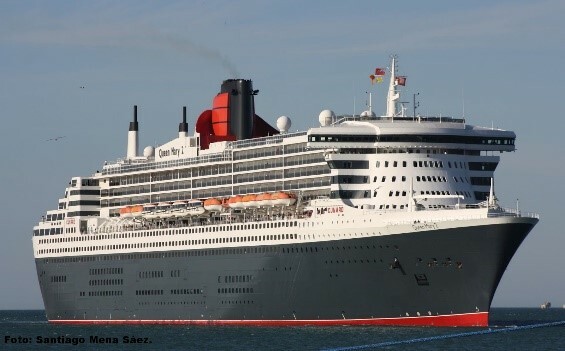 Nearly 100 Encore singers and significant others have already signed up for the upcoming (May 2019) concert tour to London and Kent, England, with an optional crossing on the Queen Mary 2. One exciting feature of the QM2 voyage is that Encore will perform in the Queen's Room for High Tea on the final day of the voyage. There is still a limited time to sign up, but don't delay if you are interested, especially for the QM2 segment of the trip. Call Sharleen Gordon at Cunard (800-468-7752 EXT. 41666). You must speak specifically with Sharleen, and she is generally available Monday through Friday from 10:30 a.m. to 7:15 p.m. Eastern time. Inform Sharleen you are with Encore: Group number is TN8 and the voyage code is M914. PLEASE DO NOT DELAY BOOKING AS YOU RISK FINDING DESIRED STATEROOMS UNAVAILABLE. All air travelers will be on the same flight from/to Washington Dulles Airport, Departing May 30th and returning June 6th . You may register/pay for the England segment of the trip beginning Monday, October 1st on Encore’s website. 50% payment (less deposit already paid) will be due by October 31st. Balance will be due January 31st. Payments made will be refundable per a schedule Encore will announce soon, but fully refundable at least through January 2019. Trip insurance will be available for this segment via Classical Movements and all travelers are strongly advised to obtain insurance. Encore cannot make refunds after specified dates. Approximately 75% of the travelers are crossing on the QM2. This is going to be a spectacular travel and concert experience! As mentioned above, there will be two significant performances, one in London and one in Kent, and Encore will be performing at least one concert in collaboration with a British choir. Full details are still in the planning stages, but it certainly promises to be a memorable journey. For more details - still tentative, of course - see the trip overview on Encore's web site HERE. There was no rest for Encore singers (and staff!) this summer. It started off with a bang with a wonderfully successful concert tour of Quebec Province, Canada, including concerts in Montreal, Quebec City and the town of Sorel-Tracy. After barely getting unpacked, it was time for our annual Summer Camp in Chestertown, MD. Our first ever Rock & Roll Camp sold out in a few days. 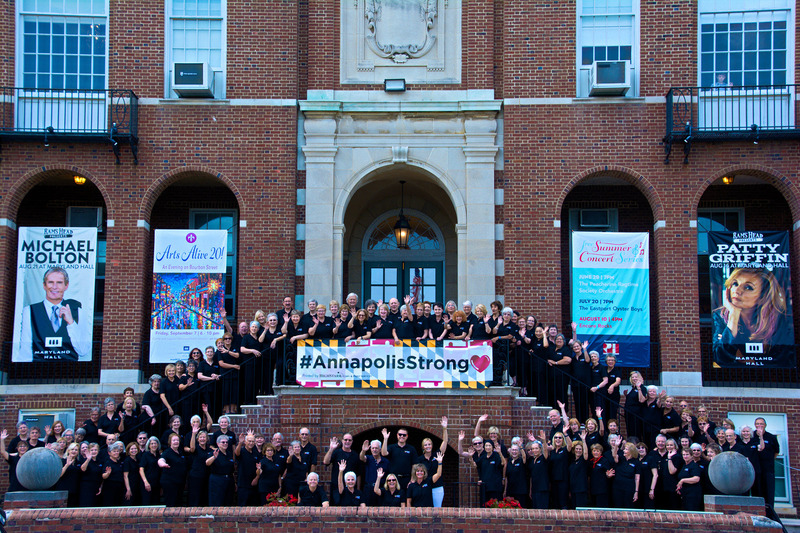 Campers had the town of Annapolis rocking for five days and drew a huge crowd to their concert. One camper wrote: "One of the best parts for me was that I laughed so much. It was all so joyful and uplifting, the people congenial and fun to talk to and sing with. If felt a bit like high school but much better. 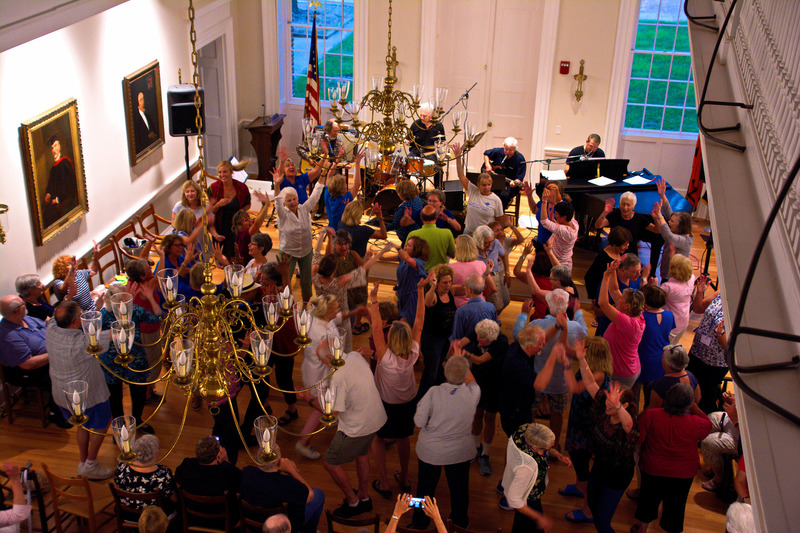 I kept writing home that I "was having a blast" especially after the first night's concert when we all danced and sang all the words to every song." Encore was recently profiled in the online and print versions of the Kiplinger Newsletter. The article quoted Encore singers Marge Lynch and Jerry Catron, who described the importance of Encore in their lives, especially when going through difficult times. 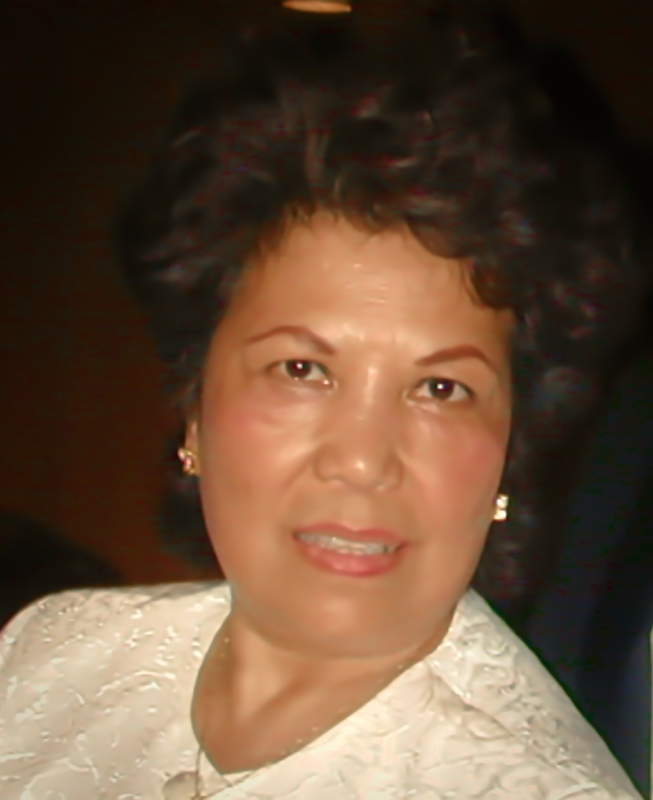 Betty Mayonado has sung in the Southern Maryland Encore Chorale for several years and recently was part of the Canada tour with Classical Movements. My introduction to Encore Chorale was when I attended the Summer Camp at St. Mary’s College of Maryland. I was more curious about the college than the camp since I attended the college decades and decades ago and haven’t visited, even though I live in St Mary’s County. I developed and received my musical ability living in Baltimore at an early age from individuals who had sustaining patience with me. My music background was acquired through voice, instrumental lessons and various choral groups from elementary school to college. As a member of Encore Chorale, I sang in the concerts from Annapolis to the Kennedy Center and went on the most outstanding trip to Quebec, Canada. This was the most rewarding trip to me, experiencing many sites, concerts, people, and much more. I also want to mention the amazing group to which I belong. 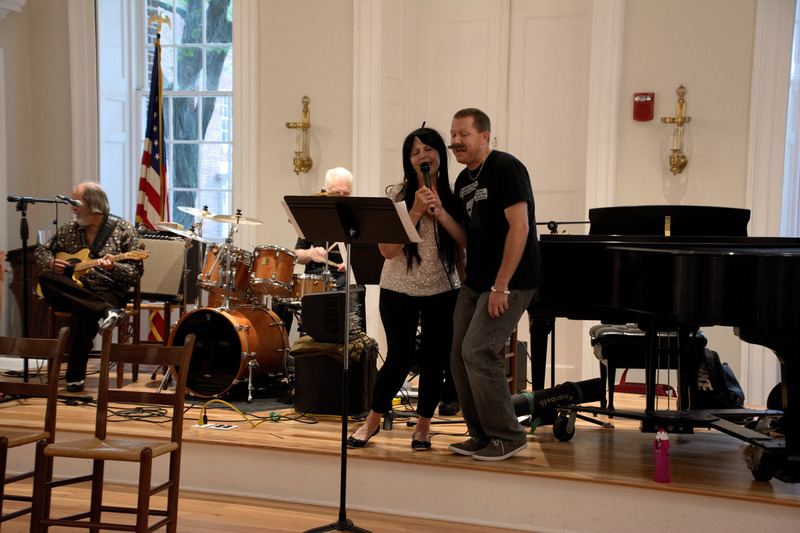 This group had the ability to learn and conquer the song Sing On with the assistance of our director, retired high school music educator Joey Hoopengardner, who made the group understand the musicality of the song in a very fun way. 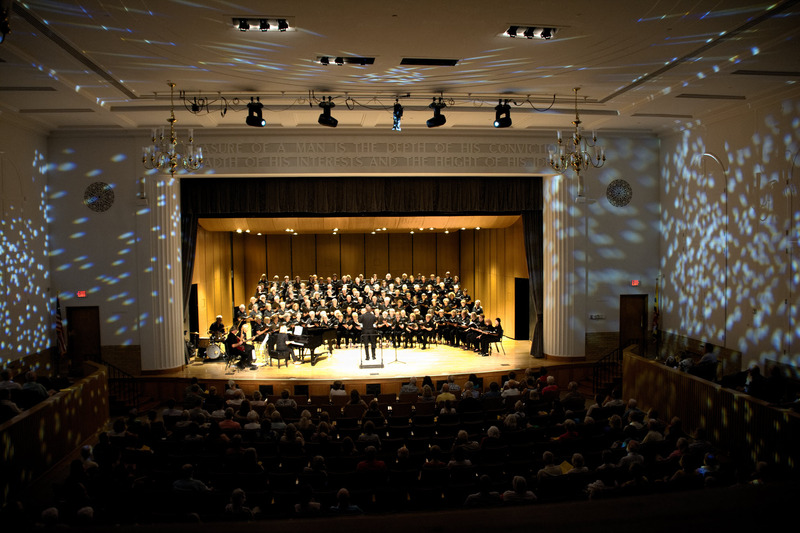 The Chorale consists of an interesting mix of people from various professions: Private business owners, educators-professors (elementary to college), engineers, military officers, doctors, nurses, an EMT, and a systems analyst. I want to mention that there are retired music teachers and some professional musicians, but most of us are not professionals. 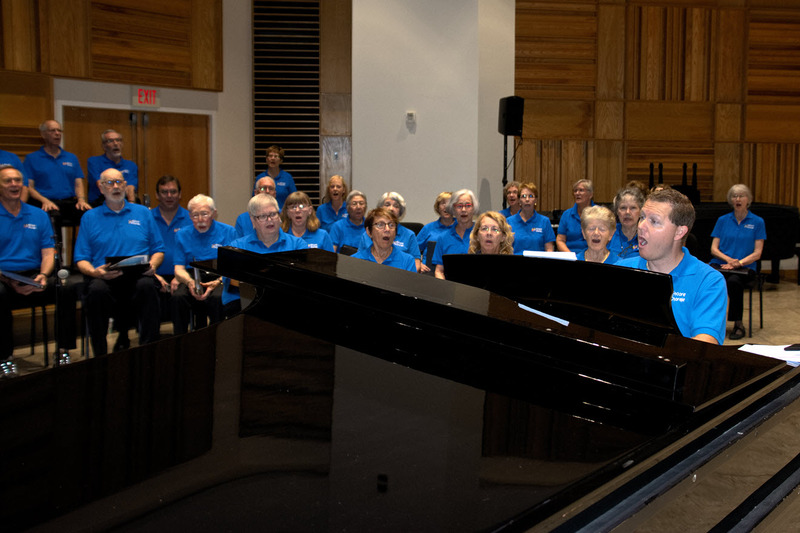 This group has individuals that belong to other groups such as church choirs, St Mary’s Choral Arts, Sweet Adelines, barbershop quartets, etc. 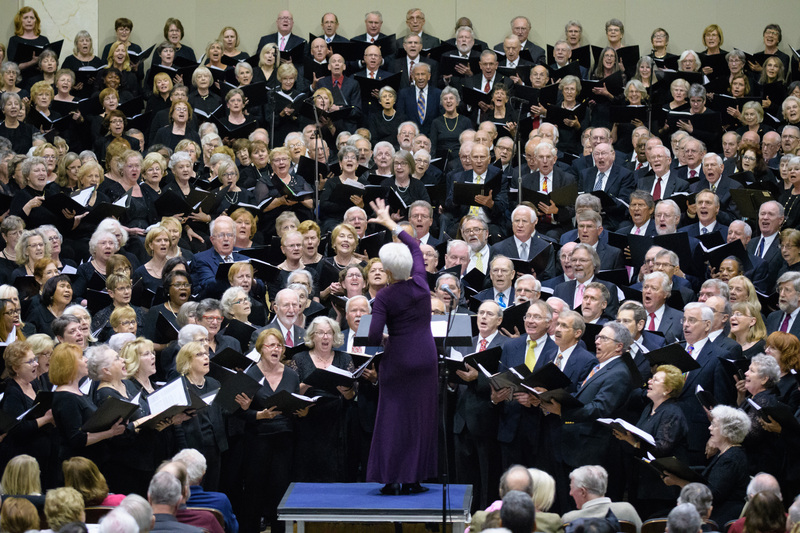 Music is a big part of this Encore Chorale group that loves to sing. We are the Southern Maryland Encore Chorale! Encore is a 501(c)(3) non-profit organization that has brought joy to many in the Baltimore-Washington region and across the nation. Your TAX-DEDUCTIBLE donation, regardless of amount, does make a difference. There are many ways to make a donation to Encore - direct cash/credit, IRA Charitable Rollover, stock, and more. Please review the information below to determine the method for you. You may contribute to Encore online using the donation form HERE or donate to the Jeanne Kelly Fund HERE.